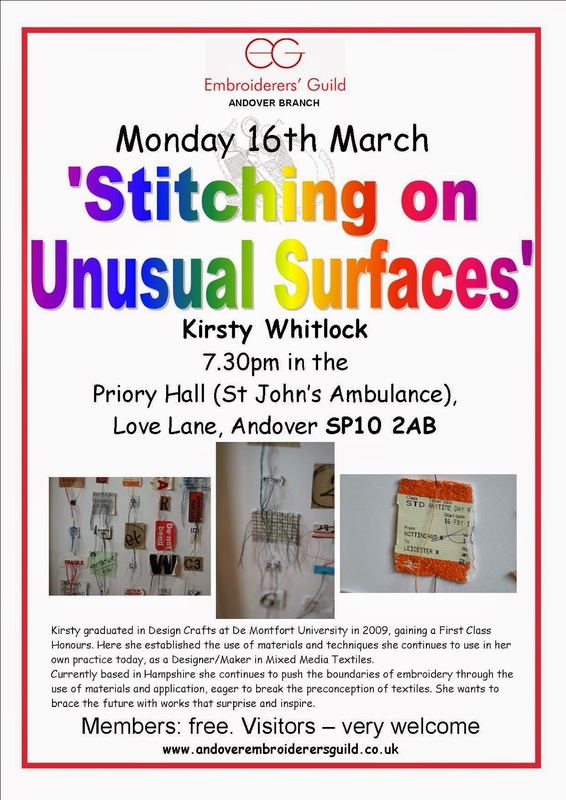 We are delighted to welcome Kirsty Whitlock who was the Embroiderers Guild 18 - 30 year olds Scholar in 2012. Some of us have heard her speak before and enjoyed her enthusiasm and new take on textile art. An exciting evening ahead!